Beet It Organic Carrot Juice is for those who like to munch on carrots, but this time, instead of snacking on them, you can enjoy Beet It Carrot Juice in a tall glass and get your daily intake of fruit and vegetables. Beet It Carrot Juice is healthy and mildly sweet as the combination of carrots with a hint of lemon makes it a naturally refreshing drink that is best enjoyed after working out at the gym or during snack time paired with a sandwich. 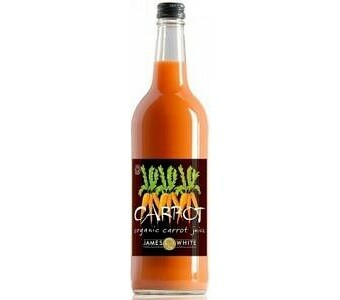 Certified organically grown Not from concentrate Free from preservatives and additives Great source of natural dietary nitrate Beet It Organic Carrot Juice is unfiltered after pressing and some sediments may settle at the bottom of the bottle Beet It Organic Juice is pasteurised and is shelf stable; only requires refrigeration after opening Ingredients: Organic carrot juice (99%), lemon juice (1%).